Kia's new Rio is bigger inside than before, and looks good but the 1.2 engine is a disappointment. Good: styling, comfort, has decent boot, reliability, warranty, safety kit. Not so good: ordinary to drive, wheezy engine, cheap cabin. I think we can say that Kia has reached its 'difficult second album' stage. The Korean car maker has come on in leaps and bounds in the past decade, moving from making cars like the original Rio (ugh), Carens (bleurgh) and Magentis (*vomiting noises*) to making stylish, high quality fare such as, well such as most of its current range. It does seem to have hit a bit of a plateau, though, which I guess is inevitable. Giant strides can, perhaps, only be made when you're starting from way back. As so many motor racing teams have found, it can be relatively easy to chip away at big gaps in performance, but the final few tenths of a second between second and first place can be so, so much harder. So it is that we find ourselves in the new Kia Rio. At first, this looks like it could be a major winner for Kia. For a start, it's a really quite good looking small car, and certainly more distinctive in its style than the slightly amorphous old-shape Rio. There's something about that slightly square front-end styling that keeps putting me in mind of the 1960s Morris 1300, but I can't quite put my finger on why. My obsession with rubbish old British Leyland cars aside, this Rio is, without question, handsome. It's also a little bigger than it used to be. It's 15mm longer than the old Rio, and 10mm of that has gone into the wheelbase, and therefore also into improving interior space. It's also 5mm lower, which doesn't sound like much, but it definitely helps to make the Rio look much sleeker and more 'stanced' than before, and the big 325-litre boot is impressively useful, and flat-floored too. The driving position is fine, with comfortable front seats and space behind even a tall driver (me) is good enough for a growing child with ridiculously long limbs (my son). There's a whiff of disappointment about the cabin beyond that point though. In general, build quality is admirable and Kia's usual seven-year warranty is reassuring on the how-it's-all-bolted-together front, but there's definitely a sense of cheapness in the cabin, not helped by the rather small infotainment screen. That screen actually works pretty well, and as my mother might say, it's a long way from touchscreens in small cars I was raised, but there's definitely less delight in the details and tactility of the cabin than you'll find in such rivals as the new Citroen C3 or the new SEAT Ibiza. The Ibiza, incidentally also has the Rio beat for rear seat space. Out on the road, you might expect things to be better, not least because Kia has of late served up some cars (e.g. the new Optima and updated cee'd ) that are genuinely good to drive, but again the Rio feels a little lacklustre. The primary culprit here is the 1.2-litre petrol engine (referred to as 1.25-litre by Kia as it has a 1,248cc capacity). Carried over from the old Rio, it has a healthy-on-paper 84hp power output, but the devil is in the detail of its tiny 122Nm torque figure. At low city speeds it's acceptable and pulls the Rio along with, if not exactly conviction, then at least a stern warning from the magistrate, if you see what I mean. Taking it out on the open road though exposes an engine that really should have been retired by now. Cling to the low gears and acceleration is average at best. Try and pick up speed in fourth or fifth on the motorway or a main road and you will just sit there, the engine struggling, going nowhere quite slowly. Shift down and redline it and it gets noisy, and doing so murders your fuel economy figure - we struggled to break the 50mpg barrier overall. Kia will be putting its rather lovely 1.0-litre three-cylinder petrol engine into the Rio at some point soon, which should help as it's smooth, revs sweetly and, especially in turbocharged form, has some proper punch. Until then, the Rio is lagging well behind the competition on the powertrain front. A better engine might well wake the chassis up a little, too. The steering is a little light, but not much more so than most of the competition, and the suspension copes with most surfaces well. The Rio (once you've got around the hindrance of the engine) can be coaxed into cornering quite briskly, but there's little joy to be had. 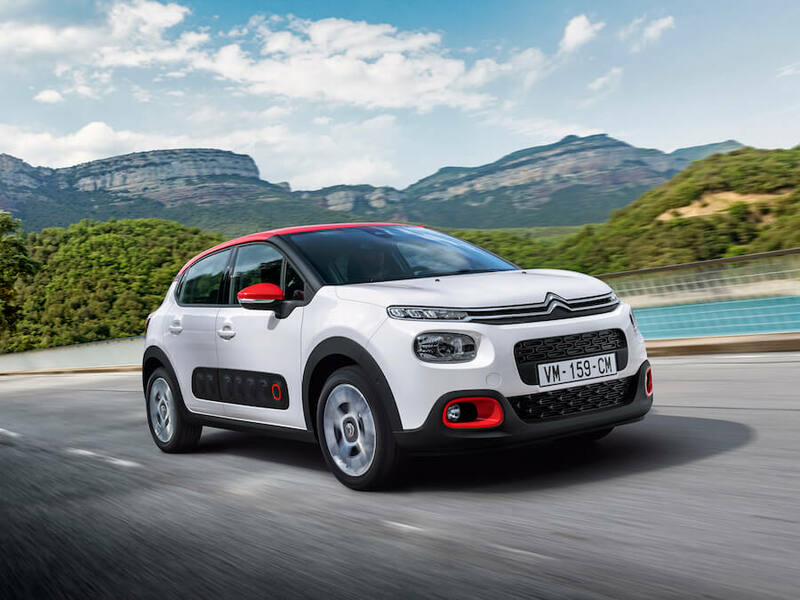 It lacks both the beguiling softness of the C3 and the sharp precision of the new Ibiza. The Kia is also quite expensive. At least, this model is - an EX ADAS costing €19,940 (the ADAS part means it comes with extra safety tech including six airbags and an autonomous emergency braking system). Thankfully, there are cheaper models, but these do without even the cheap-looking touchscreen, although commendably, Kia will sell you a basic L model, with the ADAS pack, for just €16,750. Other safety items, such as lane departure warning, are also available. The new Rio does seem like it's in a bit of a holding pattern though - it's not a big enough leap over the old model to warrant notice, and not as good as some key rivals from other makers. This isn't the dynamic, exciting Kia we had come to love, even if it remains solid, sensible, and long-warrantied. Citroen C3 vs. Kia Rio 1.2 petrol: quirky styling, soft ride and an excellent 1.2 PureTech petrol engine. 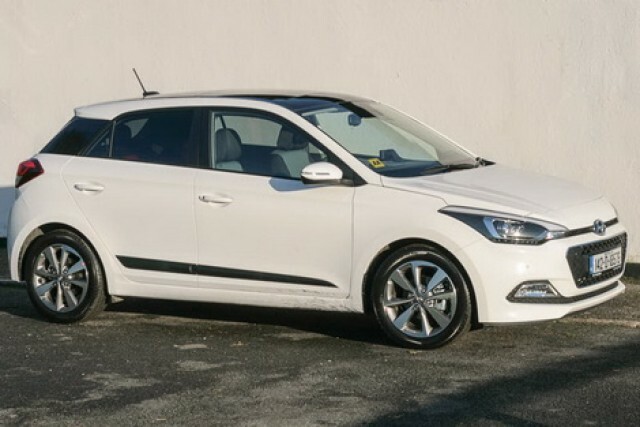 Hyundai i20 vs. Kia Rio 1.2 petrol: essentially identical to the Kia underneath, but with different styling and cabin, and differing trim levels. 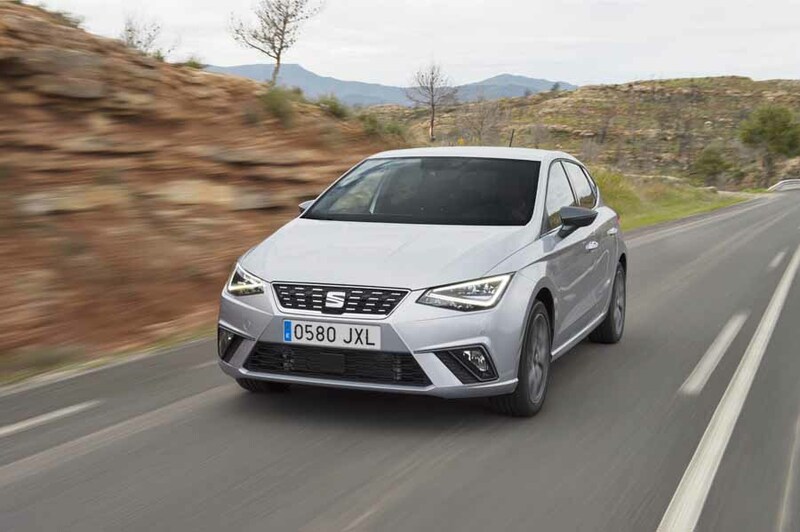 SEAT Ibiza vs. Kia Rio 1.2 petrol: new Ibiza is the benchmark supermini for now - good looking, roomy, and very good to drive.